It is worth discussing the part before you have a puppy because this if an often neglected part for many people. While there is much disagreement on the whole nature vs. nurture discussion and a whole range of trainers and owners like to think it is primarily nurture, I can evenly say that there is a lot more of nature in the puppy than is often attributed to it. It is of prime importance that you thoroughly know what kind of puppy you want and then seek out a breeder that specializes in this style of puppy. 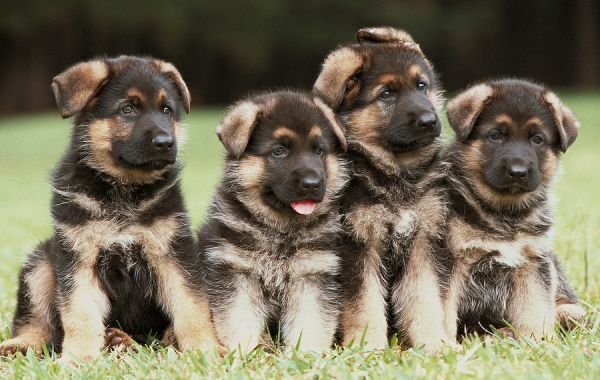 For example, if I want a Schutzhund potential working puppy, I should go to someone that trains and breeds for this. If a have a busy family lifestyle with lots of children running in and out, I probably should not select a dog from a breeder that specializes in high protection drives as this is likely way more dog than a situation like this needs. A dog that is bred for specialized areas is more likely to succeed in these areas. This is why the largest, most successful service dog groups breed their own dogs. The degree of certainty/probability goes up when you have dogs that come from pedigrees of successful service dogs. 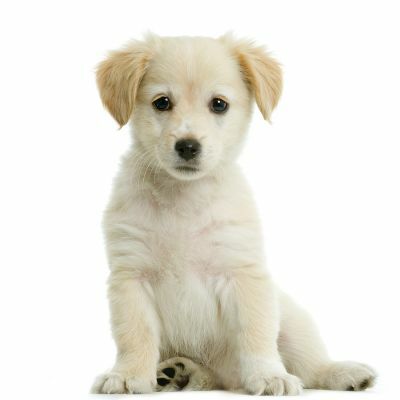 We can always help to shape and mold a puppy that has a particular nature. A shy puppy can be worked with heavily to help him become less of a shrinking violet, but his tendency by nature will lean that way without our intervention. So, while I don’t like to blame a dog’s genetics for every issue that arises (which can often be attributed to the environment), I don’t want to undervalue the importance of it either. This is why you should always be very clear about what your lifestyle needs in a dog, and then do the best you can to match up the dog and breeder to that. Should You Use a Puppy Temperament Test? Some people believe heavily in puppy temperament tests or aptitude tests. I personally think the only time these are of real value is when you really know the pedigree and are familiar with what to expect. I have seen on 3 separate occasions where a puppy tested very well on a temperament/aptitude test at 7 weeks of age (the best age for such tests) but began to develop anxiety or aggression starting at 4 months. A puppy’s brain continues to develop and mature, so that true genetic temperamental part is not fully developed at 7 weeks. It continues to mature, which is why you can see changes in personality that might surprise you. The most common changes are related to fears, shyness, anxiety, and aggression (that roots itself in the anxiety vein), even when the puppy was socialized. These changes are also unrelated to the typical puppy fear periods that all puppies experience on some level. These are temperament development that will mature as the puppy matures. As a note for German Shepherds particularly, although being aloof is a much desired trait in the adult dog, I wouldn’t want to see this in the puppy age group. Two times I have seen aloofness with strangers in a young puppy (through 12 weeks of age). One puppy developed severe aggression issues and the second puppy developed shyness bordering on skittishness with strangers. Always look for a friendly pup; the aloofness will develop later. The best age to bring a puppy home is 8 weeks of age. Any sooner and you risk the puppy not having received all it needs from his mom and siblings (like learned bite inhibition) and any later and risk losing out on socialization opportunities. We have discussed how to select a puppy for your needs, and the genetic aspect is out of your hands at that point. Now it is your turn to influence what your puppy has been given naturally with the surrounding environment. This is equally important because we can take an outstanding puppy with great temperament and easily ruin them by not doing what is required next. 1. Socialize! I don’t think enough can be said about this point. Socialization is the key to developing a well rounded puppy. The most critical socialization time is 8-12 weeks of age, but it never truly ends. During this time period, you must invest in creating as many opportunities for your puppy to see, hear, and interact with all kinds of new people (ages, sizes, races, abilities), animals, places, etc. These experiences need to be positive because any type of fearful experience or trauma can be a real setback for the puppy. While you do need to be careful about where you take the puppy due to his age and immunity, it is still vital he be taken out. Puppy kindergarten classes are great options. You can put a young puppy in the shopping cart at a pet store. Look for opportunities like parks, events, downtown walking, puppy parties at your house, etc. as the puppy ages. Dr. Ian Dunbar, well known trainer and author, suggests that your puppy needs to have met and interacted with 100 different people by the time he is 3 months old. 2. Develop a training system that sets up the house rules and shows the puppy leadership. The average dog owning person is often surprised when I say that dog training should begin at 8 weeks when the puppy comes home. They often feel it starts at the first class, which for many is at least at 6 months of age. Puppies are little sponges eager to learn. This young age is the perfect time to train simple behaviors and start establishing manners and habits. Additionally, a puppy trained from this age up naturally is more likely to respect you and listen to you. All training should be easy and in step with the development of the puppy. Keeping it fun, easy, and positive is the goal of this early training. While we start training at 8 weeks of age, it has been shown that puppies as young as 3 weeks old can actually begin learning simple things as demonstrated by Bonnie Bergin, ‘mother’ of service dog training. The younger the puppy is when training begins, the larger the impression that we leave in the puppy’s mind and the easier the dog is to work with as it ages. If you have selected the right puppy for you, heavily socialized it, and began training once he got home, your puppy should be set up well as he ages. Socialization and training never truly end, and this combination is what gets us closer and closer to the perfect dog. Ideally, you will select hobbies or training that matches both your interest and your dog’s interest and abilities and continue from there.